Main reason why emerging market currencies are under pressure on Thursday (23/08) is because of renewed broad-based US dollar strength after the latest minutes of the Federal Reserve (covering the two-day FOMC meeting that was held on 31 July - 1 August 2018) seemingly indicate that the Fed will raise borrowing costs in September 2018 (provided incoming economic data remain strong). So far in 2018 the Fed has raised rates twice. However, the minutes also show that Fed officials are concerned about simmering trade tensions, led by troubled USA-China trade relations. Escalation of trade disputes can imply downside risks for the US economy. Moreover, Fed officials agree that ongoing trade disputes and proposed trade measures constitute an important source of uncertainty and risks that likely have adverse effects on business sentiment, investment and employment. Fed officials' language about simmering trade tensions is actually rather strong and that makes market participants disagree about whether the Fed will also raise rates at the December 2018 policy meeting. If global economic conditions weaken due to trade tensions, a December rate hike - which currently still seems to be in the pipeline - could very well be delayed. On Wednesday (22/08) trade talks between the USA and China resumed after a months-long standstill. Both sides will try to resolve the ongoing trade conflict as the USA is preparing to impose additional 25 percent duties on another USD $16 billion worth of Chinese imports (set to be imposed on Thursday). 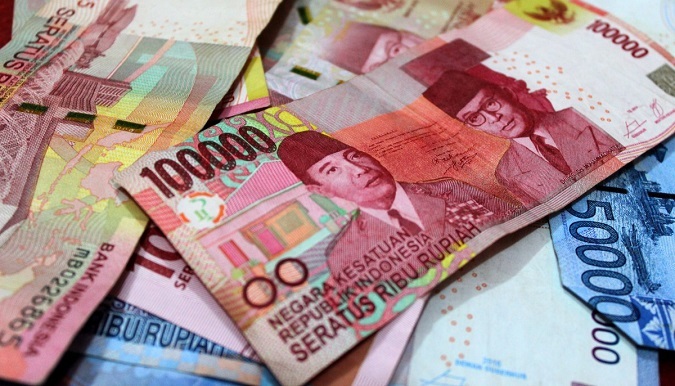 While external factors are putting pressure on the Indonesian rupiah, there are no domestic factors that can support the rupiah and therefore the currency is weakening. Bank Indonesia's benchmark rupiah rate (Jakarta Interbank Spot Dollar Rate, abbreviated JISDOR) depreciated 0.36 percent to IDR 14,620 per US dollar on Thursday (23/08).